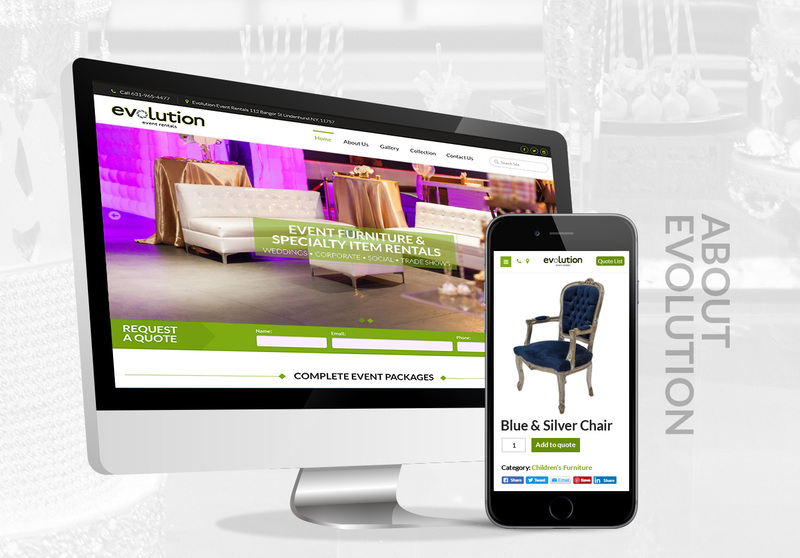 Offering unique and custom-build décor, Evolution Event Rentals produces industry-leading concepts for a variety of events. 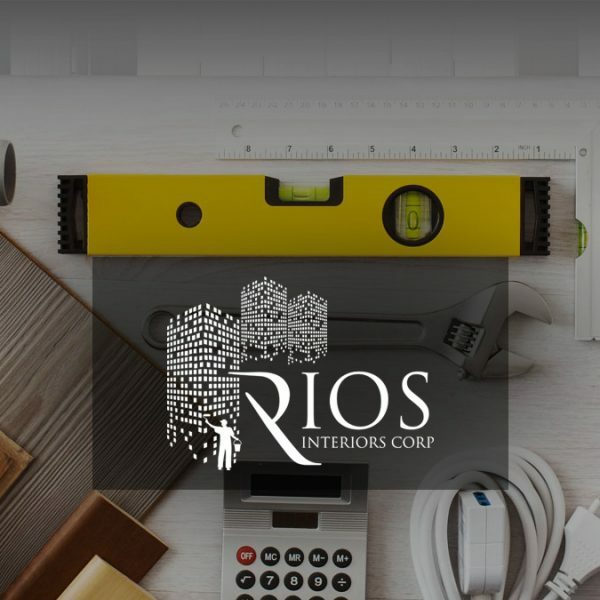 Working in their own production studio, they work diligently to produce original products that lend a sense of class and ambience to anniversaries, birthdays, christenings, holiday parties, and a variety of other invents. They also provide photo booths and other equipment for interested clientele in the tri-state area. 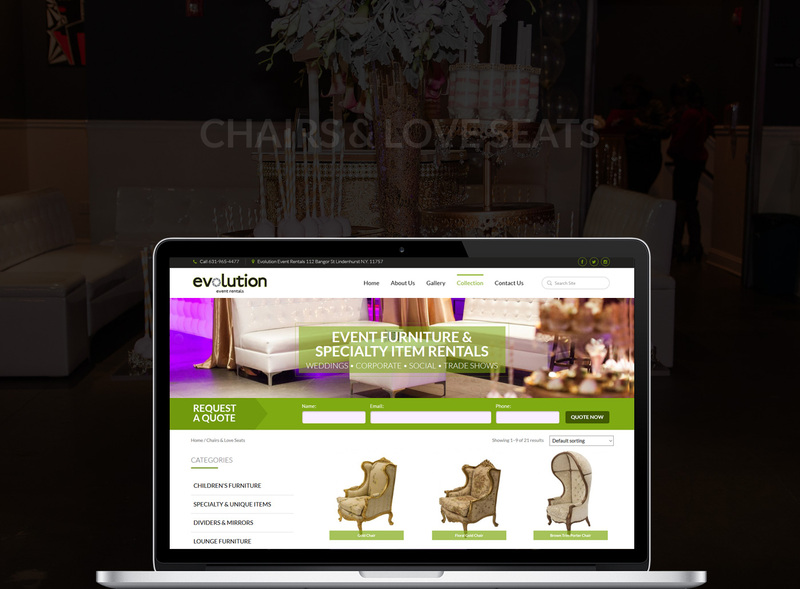 Known for their quality inventory and customer dedication, Evolution Event Rentals is a company looking to stand out in the rental industry. 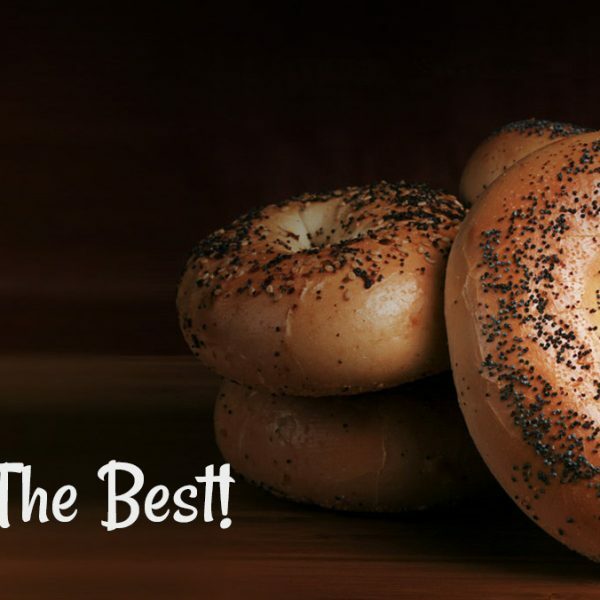 To do that, they needed a site as creative and artistic as the items they rent. They came to Top Notch Dezigns for help. After ample research, we set about creating a site that simultaneously grew their online presence and simplified the event booking process. The client reported a huge uptick in quote requests after his new site went live. Keep scrolling to find out why.